Choose your weapon! A fantastic decorative vinyl sticker for all of those avid gamers in the world! Weapons can come in many forms, and in this capacity, they come best in the form of a games controller! 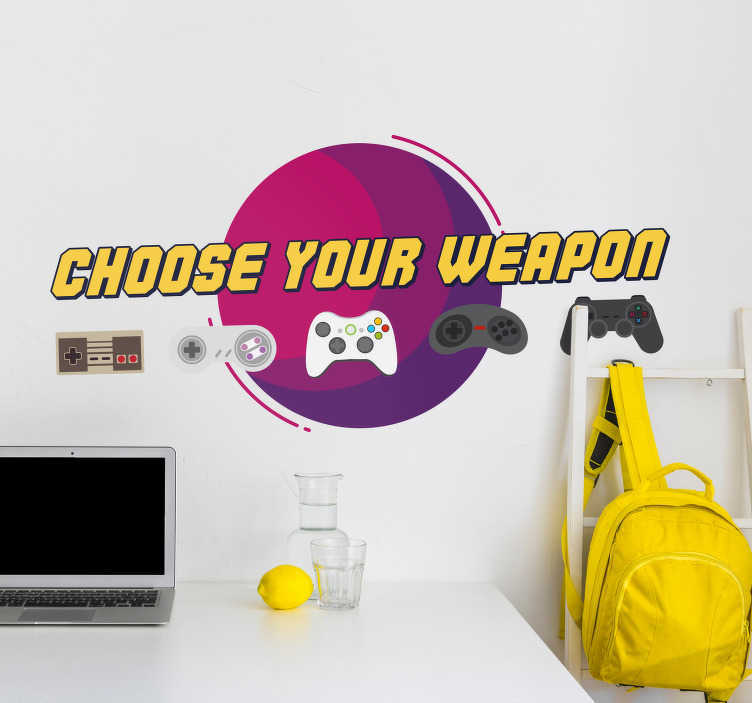 Whether it be PlayStation, Xbox or any other console you fancy - This gaming wall sticker might just be for you!